I am Kathy Klotz-Guest, founder of Keeping it Human. This show airs Thursdays at 3:30 PM PDT 2-3 times per month. I help business and marketing executives and their teams tell their most important human stories to the world, and uncover bold ideas for marketing. We are a jargon-monoxide-poisoning free zone. Feel free to comment on the show. Let me know what you want more of. What do you do when the agency you helped create is up and running and ... See More you realize you want to do more in the world? 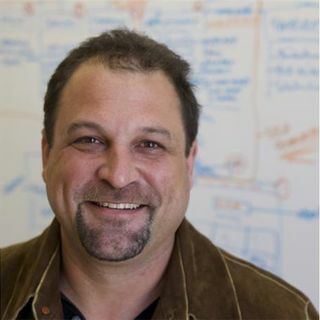 Well, if you are Bryan Kramer, you seek your next challenge by writing a few books (H2H and Shareology) to help connect others. With a TED talk under his belt, Bryan has embraced his Inner Focker and asked the big question, "What can you share with the world to help change it?" A natural connector with an easy laugh, Bryan is all about being more human. And I couldn't agree more with his message. Join us April 21 when I chat with Bryan about his journey to social influencer, embracing his inner Focker (and why you should, too) and lessons he's learned along the way about the human need to connect and share. Bryan is an international keynote speaker, a bestselling author and strategist consulting Fortune 500 clients such as Harvard, IBM, Cisco, Mastercard, Dell, NASA, NFL and many more on humanizing business through marketing and social media. He is the CEO of Purematter, a content, social and digital marketing agency in San Jose, CA. His latest book, Shareology, made the USA Today's Top 150 Book List the week of its release, as well as #1 on Amazon in four categories.